Q: When will the Dragonslayer Multiplayer Expansion be available? A: Dragonslayer will be available for Xbox One, Xbox 360, PC, and PS4, and PS3, on May 5, 2015. Q: How much does the “Dragonslayer” expansion pack cost? A: Dragonslayer is free to download for all supported platforms. Q: Are any new maps included in Dragonslayer? A: Dragonslayer introduces a new “Ferelden Castle” destination. Before each match, players can select one of three elemental dragons to fight. Each dragon has its own abilities and impact on the environment. Q: Are there any new characters in Dragonslayer? Isabela, the Duelist: The swashbuckling, dual-dagger rogue is back, wielding a handy crossbow to keep foes pinned down. 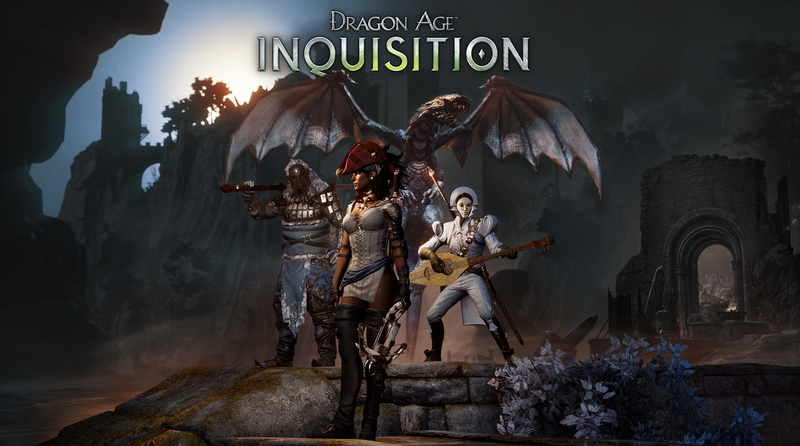 Each character has brand-new abilities and mechanics, bringing a whole new gameplay style and feel to Dragon Age: Inquisition multiplayer mode. Q: How are new characters unlocked? A: Players are awarded a free chest in the Multiplayer Store that contains one of the three new characters. Unlock the other two characters by crafting their armors in the Armor Crafting screen. The new characters can also be found in store chests as very rare drops. Q: How do players get ready to fight a dragon? A: Players must craft the consumable Dragon’s Call hammer in the Weapon Crafting screen and add it to their inventories if they wish to fight the dragon in Zone 5 of the Ferelden Castle. Enter the Weapon Crafting screen and select the Dragon’s Call. Enter the necessary materials (10 metal, 10 leather, 5 cloth). Select “Create Match” to create your own lobby or “Quick Match” to join an existing lobby. Select “Ferelden Castle” as the destination. Select a dragon type (Fire, Ice, or Lightning). Progress in your match to Zone 3. Players with the Dragon’s Call must interact with the gong located by the staircase to summon the dragon for a final showdown in Zone 5. The Dragon’s Call is destroyed when it is used to summon a dragon. The party must complete Zone 4 and open the final door to Zone 5 to fight the dragon. Q: Can players choose which dragon to fight? A: Yes. In the “Create Match” and “Quick Match” screens, players can select “Ferelden Castle” as the destination, then select the type of dragon to battle: Ice, Fire, or Lightning. Tip: Once a dragon type is selected, equip the matching resistance potion to help fend off the dragon’s blast damage. Q: Does every player in a party need a Dragon’s Call in their inventory to summon a dragon in Ferelden Castle? A: Only one Dragon’s Call is required per party, per match. If each player in a party has a Dragon’s Call, only the player who interacts with the gong will use up the item. The other players can keep their Dragon’s Call hammers to use in a future match. Q: What happens if players do not summon the dragon with the Dragon’s Call in Ferelden Castle? A: If the dragon is not summoned, players will face off against the enemy faction boss (the red templar, Venatori, or demon commander). Q: What happens if a player uses the Dragon’s Call to summon the dragon but the party dies before reaching Zone 5? A: The Dragon’s Call is destroyed at the time it is used to summon the dragon. The player will need another Dragon’s Call in their inventory, or to craft a new one, in order to summon the dragon again. Q: Do dragons only appear as bosses? A: Dragons have a presence throughout the Ferelden Castle, even if they are not summoned for the final combat. Q: Do dragons drop any loot? A: Yes. Completing a dragon fight results in a loot a loot drop for the party. An item, with a chance for the item to be one of the new dragon weapons. An item, with a greater chance to get a rare (blue) dragon weapon, and a chance to get the armor of one of the new characters. An item, with a greater chance to get a unique (purple) dragon weapon, and an increased chance to get the armor of one of the new characters. Q: Do I fight the same enemies and bosses in the Ferelden Castle map? A: Players will fight red templars, Venatori, or demons throughout the first four zones of the match. If the players do not summon the dragon for the final zone, they will fight the enemy faction’s commander. Q: Can players fight dragons in the original and Destruction maps? A: Dragons can only be fought in the Ferelden Castle map. Q: How does are the dragons affected by difficulty level? A: The Ferelden Castle destination expands the challenge of each difficulty level. Players can create or join Routine or Threatening difficulty matches and experience a challenge that serves as a bridge to the next difficulty level. Perilous dragon fights are recommended for veteran players with high-level characters and item loadouts. Q: Does Dragonslayer include any new items or loot? A: Players can find new high-level dragon weapons in chests from the Multiplayer Store. Next Next post: Hitting All the Right Notes: Creating the Hot Licks of ZITHER!